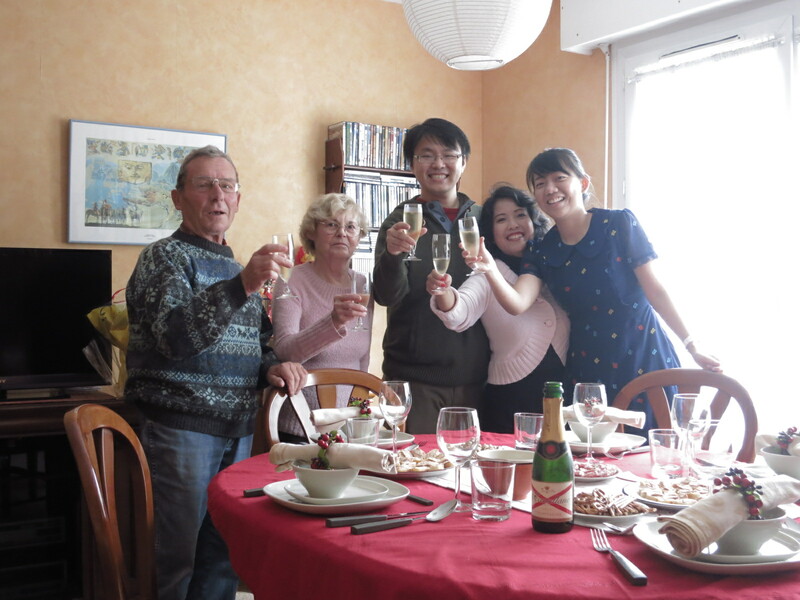 I planned to go to Disneyland on my fourth day in Paris, but then I aborted the plan because Bandi’s high-school English teacher (now call Bandi her nephew) invited us to visit her at Reims, a small town located 150km outside Paris. Oh how Universe really loves me! The disneyland plan was aborted for something fun, amazing and new for me! 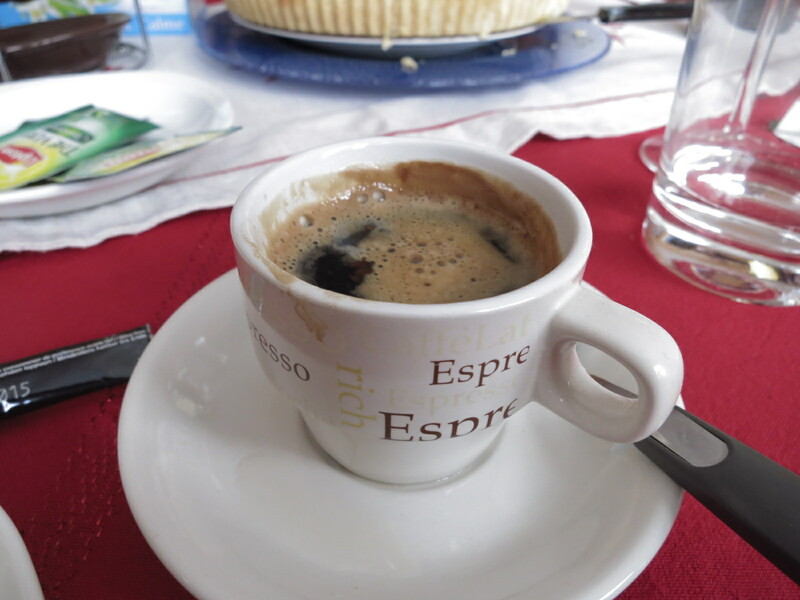 First, experiencing the traditional French life. Aunty Aini picked us up at the train station and when I met her I liked her at once. She was fun, talkative and laughed a lot. She seemed like really loving her life. 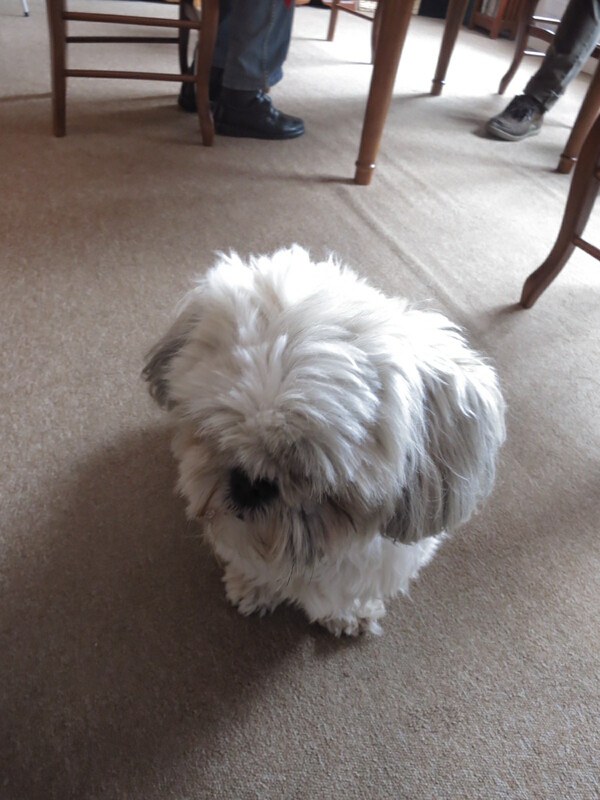 She invited us to her house, and she said her parents in law was spending the night there so me and Bandi should follow French tradition to bring one bucket of flowers and one bottle of wine to the house we were visiting to. Bandi had already brought wine but we didn’t have time to buy the flowers from Paris. So Aunty Aini brought us to her favorite florist and OH MY GOD, I almost fainted because of how beautiful all the flowers all!! 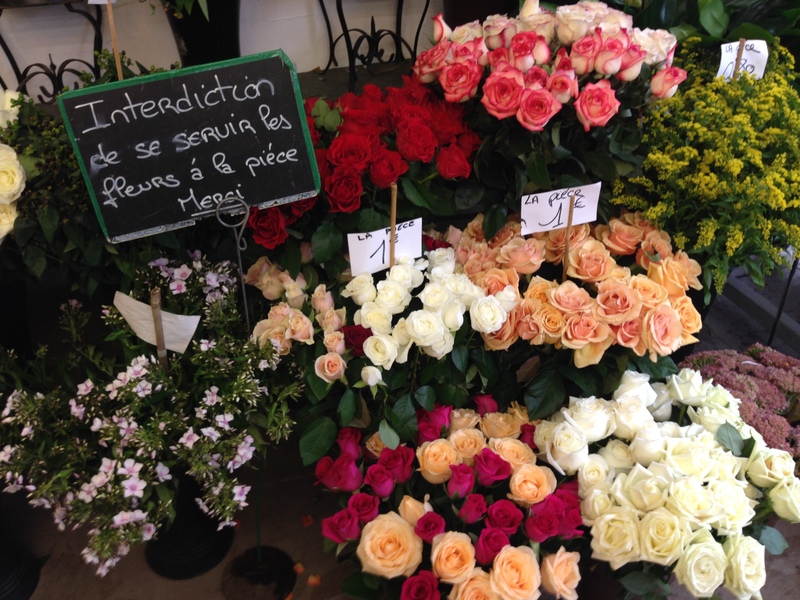 It was just like in a French movie when the main character rode a bike and went to a florist. “AHHH!! I WANT TO LIVE HERE!” I screamed hundred times. Aunty Aini’s parents in law has zero English so I had fun challenging myself talking to them, while Bandi was smiling as wide as he could. We also met the cutie Domino who liked to sit on my lap. 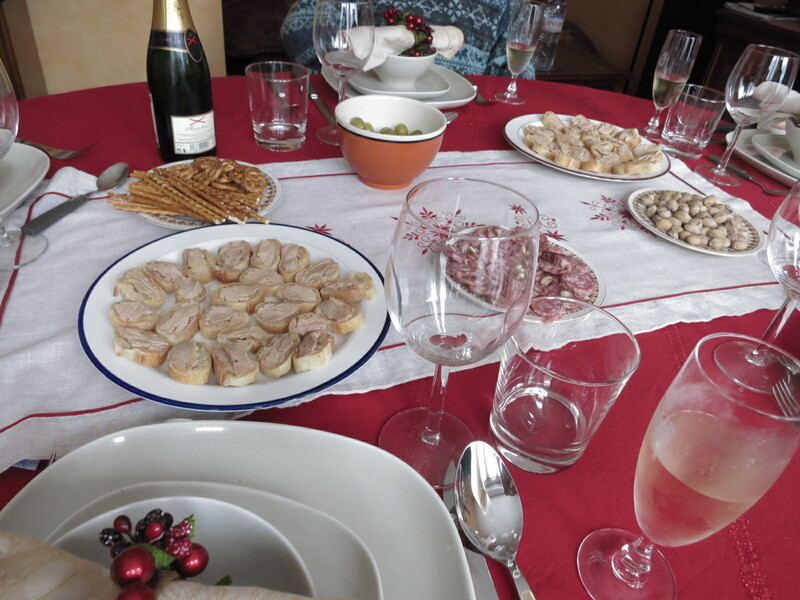 We were served snacks such as pretzels, bread with foie gras and sausages. 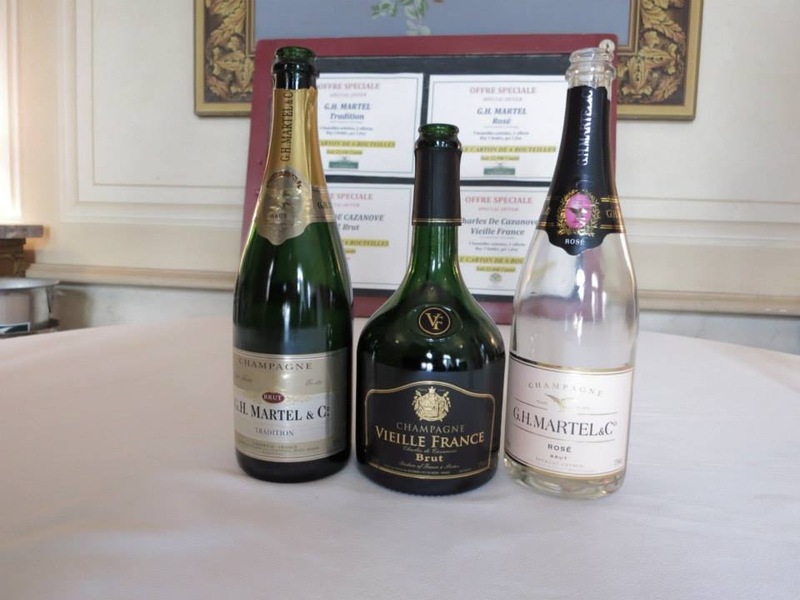 And it is said to be a tradition to open a bottle of champagne before meal in Reims. Haleluyah for whoever created that tradition! So here’s the thing, I haven’t found my favorite alcohol. I mean, everyone has their own favorite alcohol and once they’ve found it, they would have their epiphany. (LOL I was kidding.) Anyway… I can’t drink wine because it tasted funny and I don’t like Beer because it is bitter. I can drink hard liquor like bourbon but I think it’s too strong. So far I only prefer cocktails like Cosmo or Cranberry Vodka, but still it is not that good. Until I drink THE CHAMPAGNE!!! 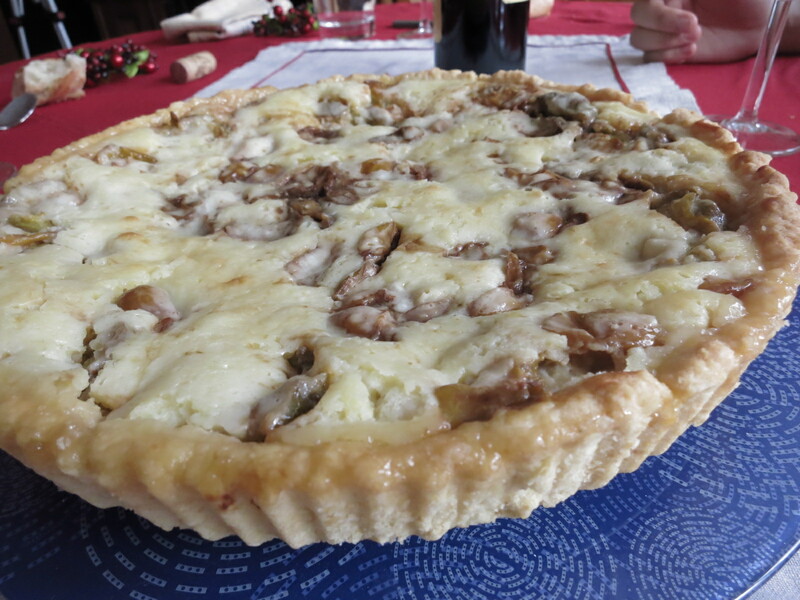 Gosh, IT WAS SOOOO DELICIOUS! Aunty Ainy told us that Reims is the capital of Champagne. I didn’t really understand what it meant until I fell deeper in love with champagne and intentionally read more about it. The chatting compliments the home-cooked meal Aunty Aini has prepared for us! 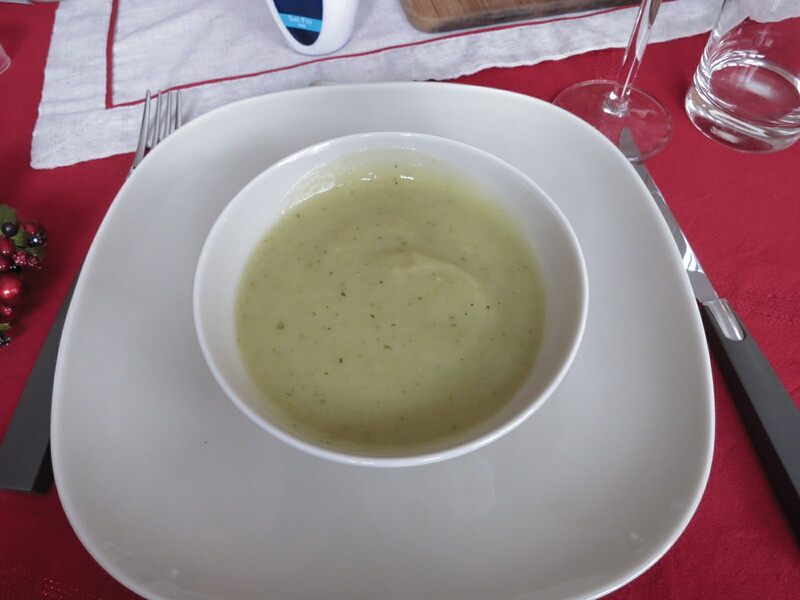 French people always start the meal with soup! 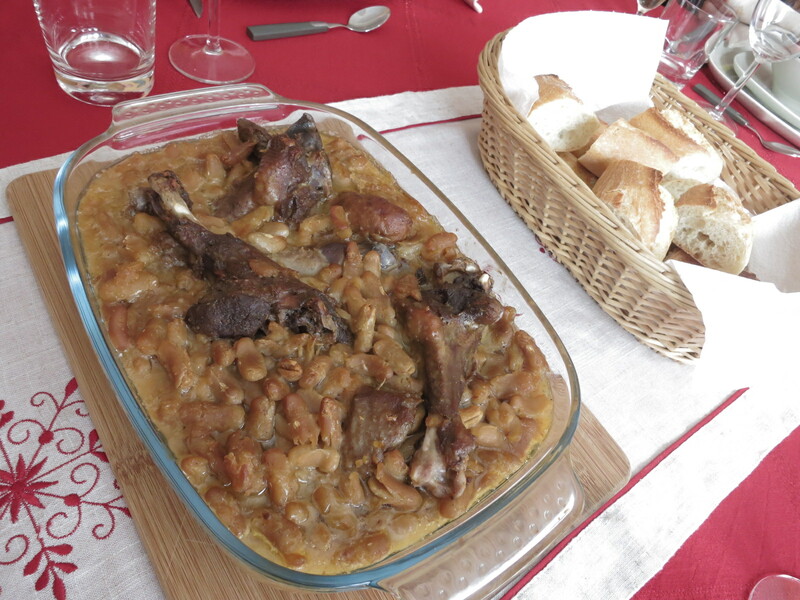 Baked beans and ducks, is said as Reims specialty. 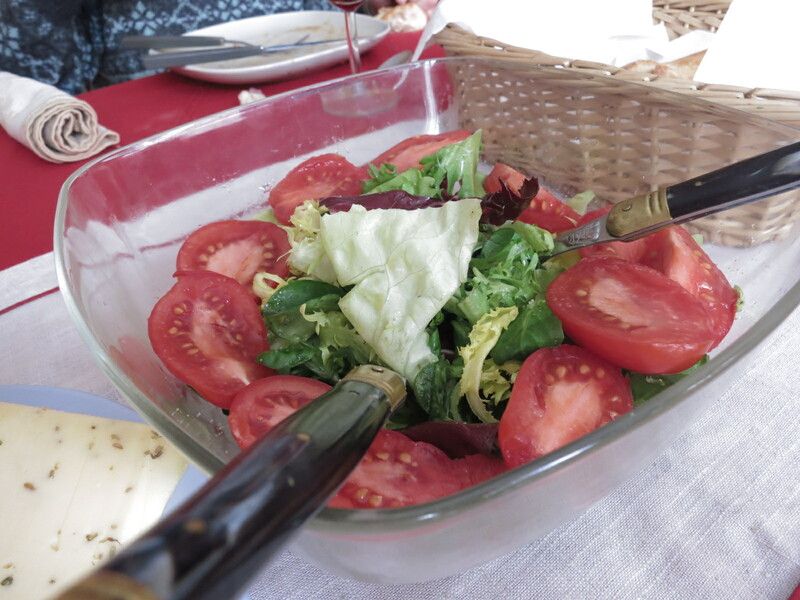 And the European Salad… with no dressing. Noooo!! The best thing about salad is the creamy thousand island! 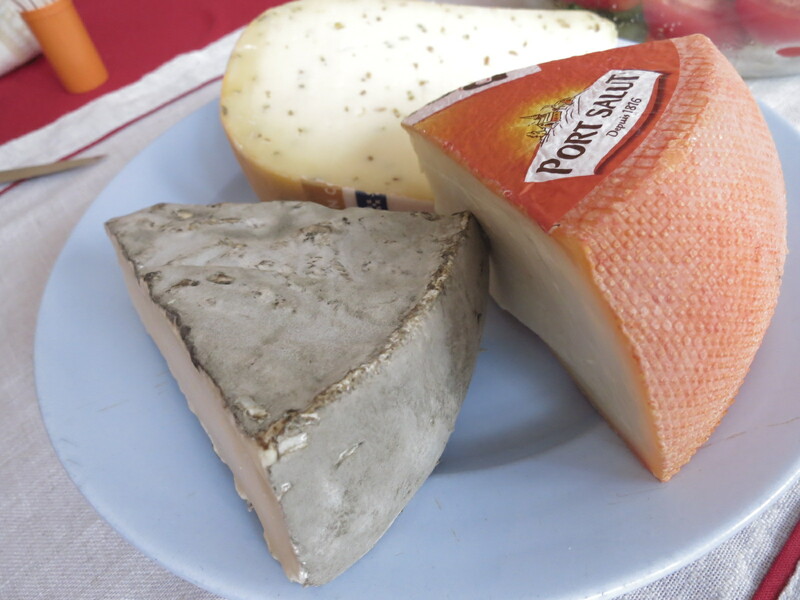 And the famous French cheeses!!! So, after five full course of French meal and two glasses of good champagne (BEST champagne in my life so far! 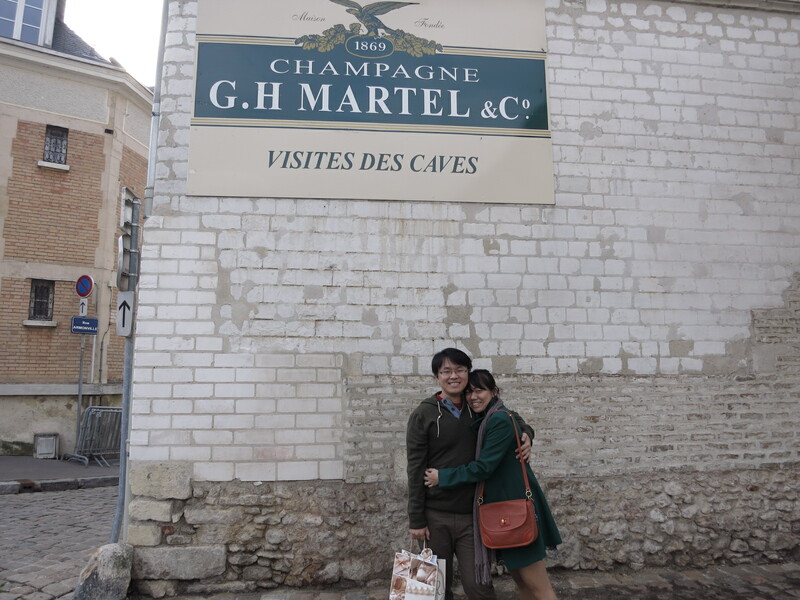 ), Aunty Aini brought Bandi and me to Martell cave to have a champagne tour (yaiy!). The guide showed us how to make champagne traditionally and in modern way. We were also brought to the champagne cave to see all the traditional tools of making champagne. Took photos inside the cave but it was too dark and flash didn’t work well. The left one was so sweet, middle one is brut, less sugar; the right one is rose champagne. All of them are yummy! There are a difference between wine and sparkling wine. Beside the price of course (damn it! ), the difference is the sparkle. I was explained by the guide about the fermentation and the sparkle but I was “under influence” so pardon me if I didn’t really get the chemical theory. If you really want to know, go google it. 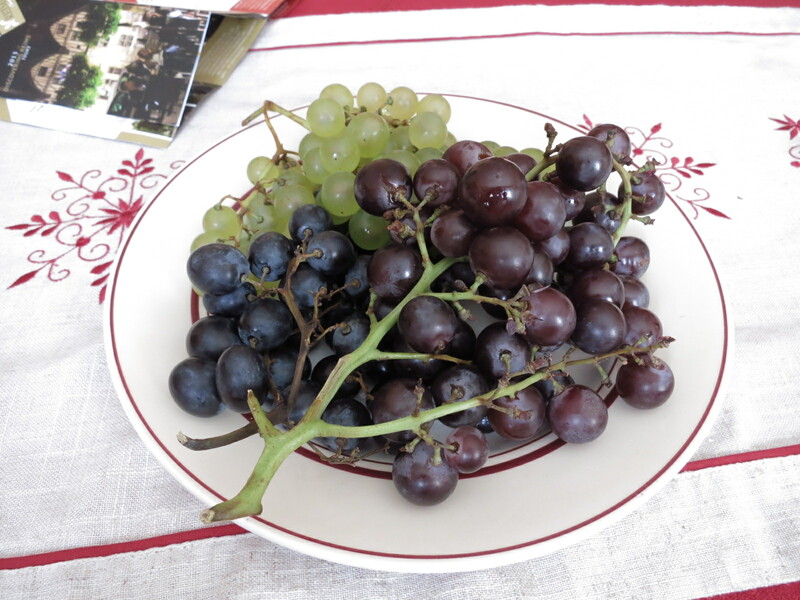 But for me, the huge difference is this: wine tastes sour and bitter, while sparkling wine tastes sour and sweet and refreshing. Champagne is sparkling wine that comes from the Champagne region in France. Sparkling wine came from this region and they were called Champagne. Later on there are a lot of winery that produced champagne but then they couldn’t call the sparkling wine as champagne anymore because of the law created to protect “real champagne”. You might find other sparking wine outside France that is called differently like cava (spain) or Sekt (German) but basically they are the same thing, only from different winery. I’ve tried sparkling wines from other region beside Champagne region and they all are delicious. It is just a habit for me to call them all champagne (which is wrong) because the first sparkling wine I tasted was champagne. Bottom line is… I finally have found my kind of alcohol! Sparkling wine! Now I understand why Bandi could suddenly crave for beer and how he liked to drink beer after a tiring day at work. I never liked alcohol before. Oh, thankfully I’ve found champagne! So if you ever wanted to buy me alcohol, please do buy me sparkling wine! I will accept it with so much love. Even the pharmacy is so pretty!!! 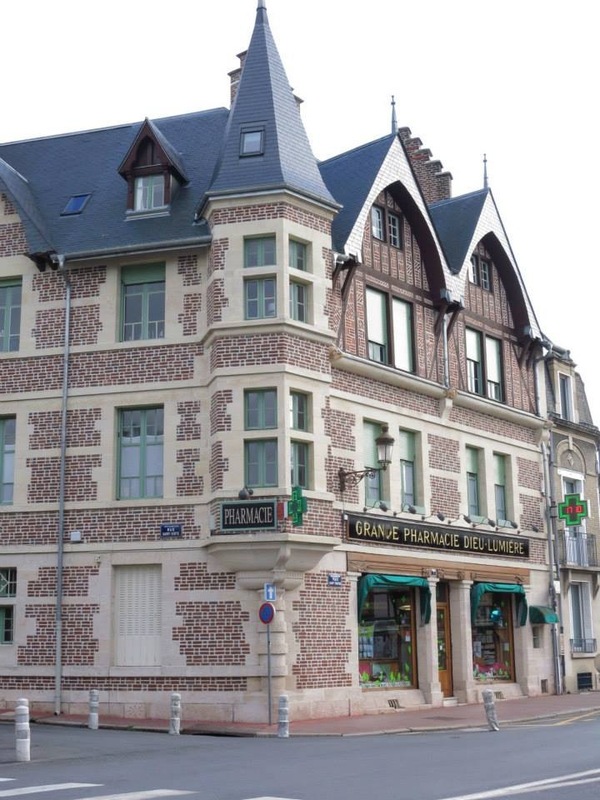 And third, a new dream to live in France. 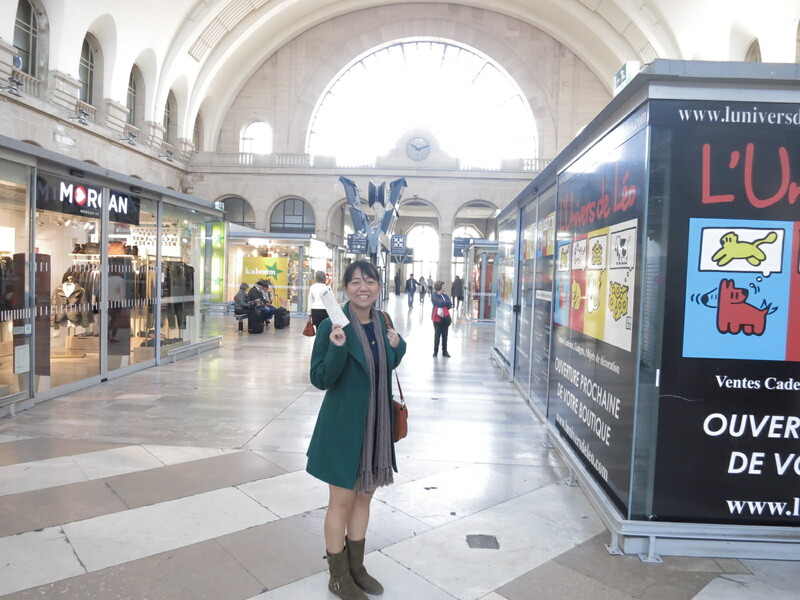 I fell in love with Reims and seriously plan to stay there for two months to do illegal work and learn French language and of course to have the experience to be living in a small town in France. Why Reims? I mean, of all the small town, why Reims? Maybe because I have a relative there and it isn’t touristy and so peaceful. And of course because everyone speaks French and I would love to be fluent in French. Je veux parler Francaise. And of course the champagne *ahem*. Ohh J’aime France! May, loving France even more. This entry was posted in Travel to Europe and tagged champagne, Europe, Europe travel, Europe Trip, France, reims, sparkling wine, Travel, wine. Bookmark the permalink. 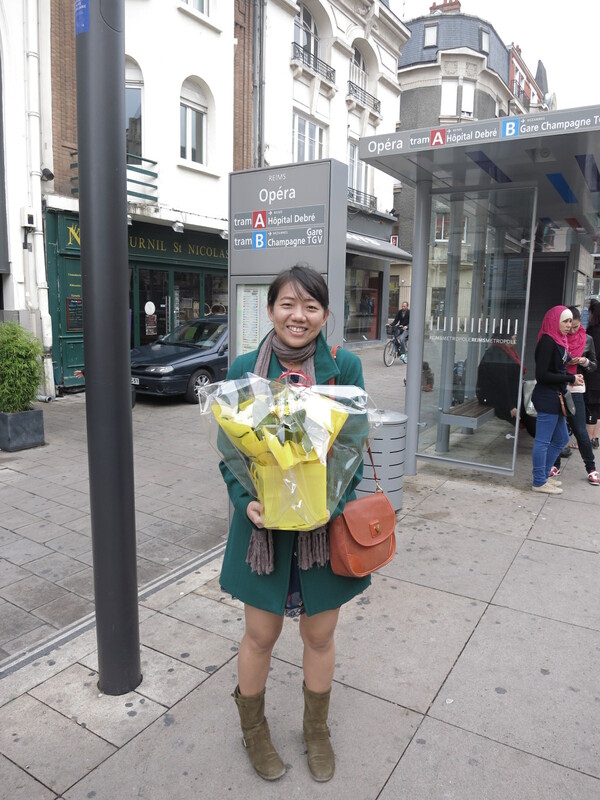 May, What an excellent experience living a real French life for a day! Itu pienya kalo bukan korma, bisa jadi plum kering. 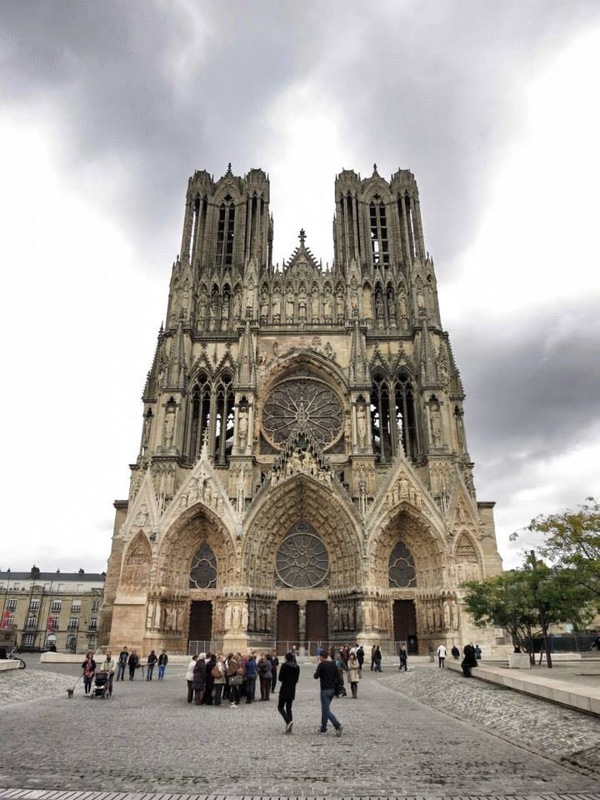 Reims is historical for the French cause all French kings were crown in the cathedral. I wait for another interesting stories from la France and the rest. Greetings from fellow Francophil. I WILLLLLLLL looorrrr!!! I wiiillll!!! I J’aime France!!! katedralnya bagus bener mai….makanannya semua bikin ngiler ( entah tapi lidahnya cocok atau kagak…lidah kampungan gini )…gedung2 eropa bagus2 deh…. just like me being a singaporean for 5 weeks XD and I have to say that the experience changed my whooole life hahaha! Gee, really great and hospitable people over there in Reims. And, well, they did splendid work by getting you ( and Bandi?) hooked on Champagne :). You wrote you occasionally “bought wine because they’re cheap” in the past, though you’re not really fond of that liquid. But the reason why you didn’t like ‘ordinary’ wine may have been that high quality wine is not cheap. A real fine Chablis (white) or a Châtaux Margaux 2005 (red) has it’s price but will definitely make you think otherwise :). Yes, Bandi said it too. He said it’s not good because it’s cheap. But why the hell European people still enjoy the 2.50 EUR wine??? A bottle of good wine at € 2.50??? WHERE??????????? !!!!!! Let me give you another example. Bandi would drink 10 cans of cheap beer and it still tastes good for him. May! Yang pertama langsung pengen gw komen adalah kostum lo! itu bagian atas lo ketutup banget tapi kaki lo bare gitu. Emang nggak dingin ape???? haha. ahhh may…seru sekali pengalaman lo! bisa ngerasain budaya lokal emang priceless banget ya, gw bacanya aja sampe ikut seru sendiri haha. *walo kalo gw jd lo belom tentu bisa makan itu semua, kayanya aneeehh hihihihi. anw, gw juga not into alcohol, gara2 postingan lo jadi wondering apa gw jg belom nemu yg pas aja kali ya? hahaha. wine gw kaga suka, champagne, not so sure, kayanya lumayan suka tp biasa aja. beer definitely ga suka, yg pait2 ga suka deh pokoknya. 1-1 nya alcohol yg gw suka cuma baileys hahahah. Seru ya bisa dateng ngerasain langsung gimana budaya disana. Amiiniiinn dulu kalimat yang terakhir!!! Waaaah… Enak banget Mei, lo sempet ngerasain “hidup orang lokal” disana. Ternyata nama pinot noir dkk itu diambil dari nama anggurnya yah? Gw baru tau loh kalo itu. Anyway, seriously?!?!?!?!? You turned down disneyland????? woaaa seneng bgt bisa living like locals! karena uda banyak yang komenin soal champagne nya, gw komen aja soal kembangnya. Kembangnya!! Benerrrr!!! Gue juga liatnya maw pingsannn! Hahaha May what an exciting story! Emang paling enak kl bisa ngerasain authentic local daily living yah.. Btw May not all wines are sour.. Try dessert wines, ice wines, different kinds of whites, rose & reds.. Ada yg easy to drink, ada yg dryer.. Ada yg aroma nya so floral or fruity.. Oh btw try Italian sparkling wine brand moscato d’asti. Yummy! Let’s try them sometimes Li. Hiihih. I did try prosecco and didn’t really like it. Let me try Moscato then. Ada toko champagne murah (lebih murah dr Duty free) namanya Bottles&Bottles Li! Owww kynya pernah liat itu bottles&bottles.. ternyata ada di Parkway!! hahahh.. murah ya? hmm i will check it out..
moscato itu sparkling wine yg dibikin dr muscat grapes.. jd ada bbrp merk tapi menurut gw yg paling enak yg moscato d’asti itu.. more exp for moscato tp kynya lebih murah dr champagne.. tp ga tau yg di bottles&bottles itu brp-an harganya.. jd penasaran.. haha..
hahahahahhaha….champagne emang mantabs!! itu yg side-effectnya gak terlalu jelek buat gue dibanding alcohol lain…. temen gue ke german juga poto nya ama toko bunga! hahahaha…. Sparkling wine itu kayaknya satu2nya alkohol yang gue bisa minum dengan santai…. Btw, lu doyan yang manis2 seger? Minum aja Midori on the rocks langsung atau campur sprite. ENAK! Hush, jangan ngomong keras2 bilang disneyland jelek, disini banyak fans fanatiknya. Hahahaha!